"PRICE REDUCED" Excellent condition, 0 km's, well maintained & mechanically fit, setup for solo rider presently. Comes with passenger seat, backrest, original pipes (not shown). 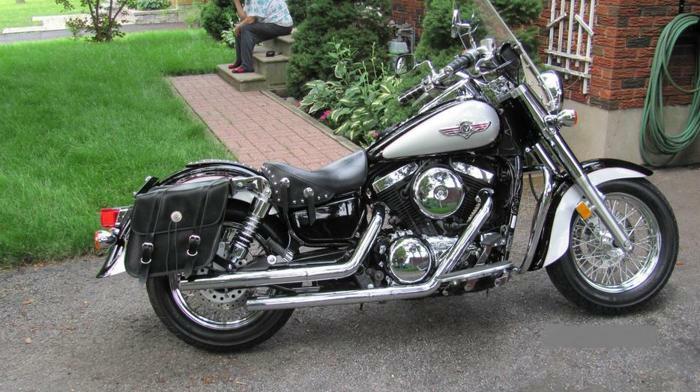 Many aftermarket additions including: Kawasaki, Vance and Hines, Mustang, Baron etc. Reply or call to view, no trades, thanks. - 613 526-.